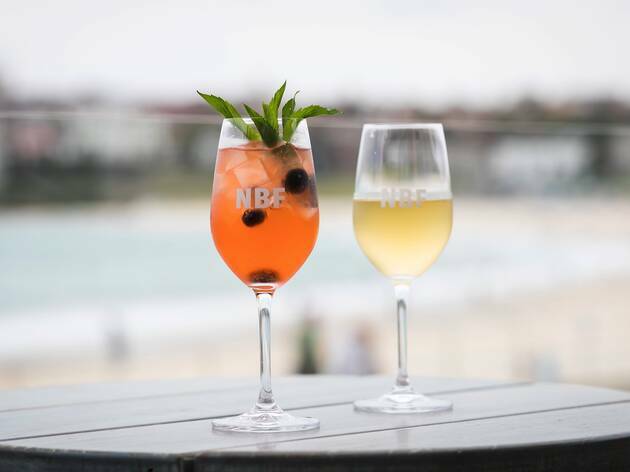 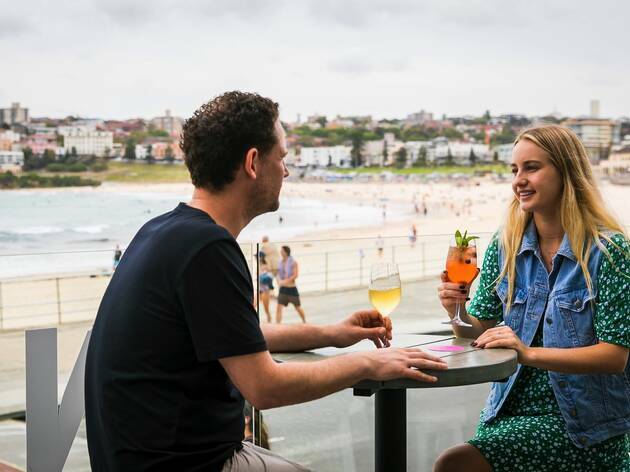 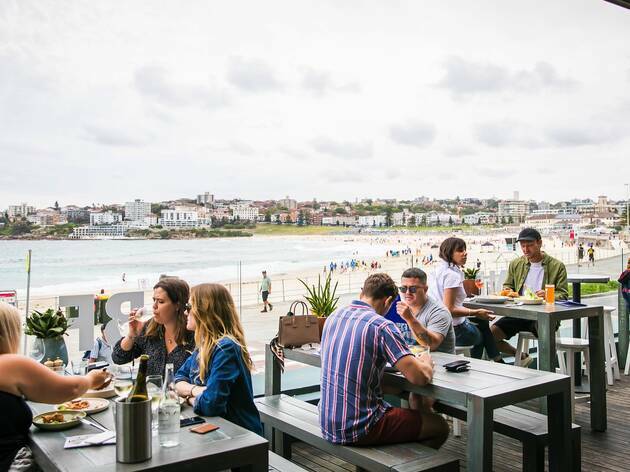 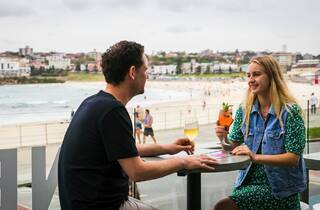 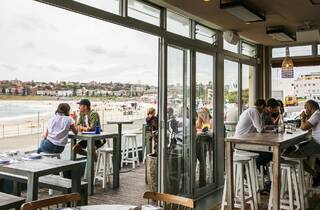 There are very few venues in Sydney that are truly beachfront – sure you’ve got ones that teeter on the edge of our coastline overlooking the beach, others a couple of streets back with levelled-up sandy views, and the harbour is lined with bars and snack stops which make the most of watery vistas, but beachfront is rare. 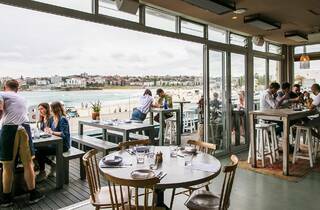 North Bondi Fish is in as close in proximity to Bondi Beach as the grassy knoll. 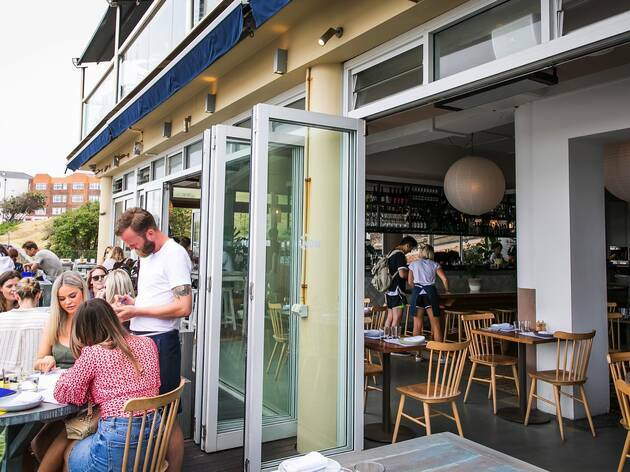 As you walk in there’s sand on the doorstep – this isn’t decorative, it’s just what happens when you’re 12 metres away from one of the world’s most popular shorelines. 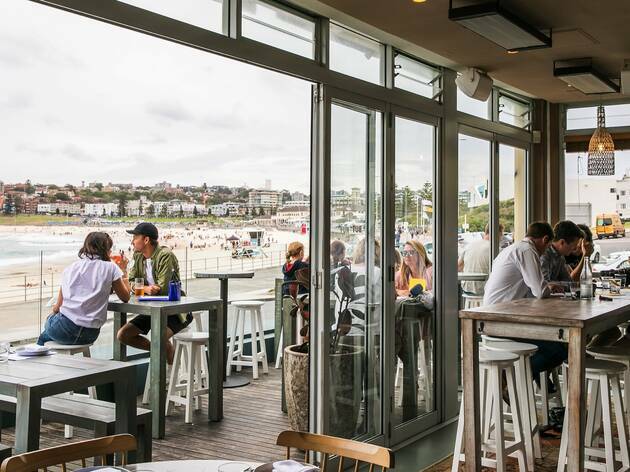 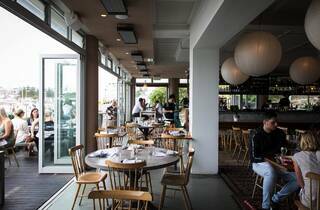 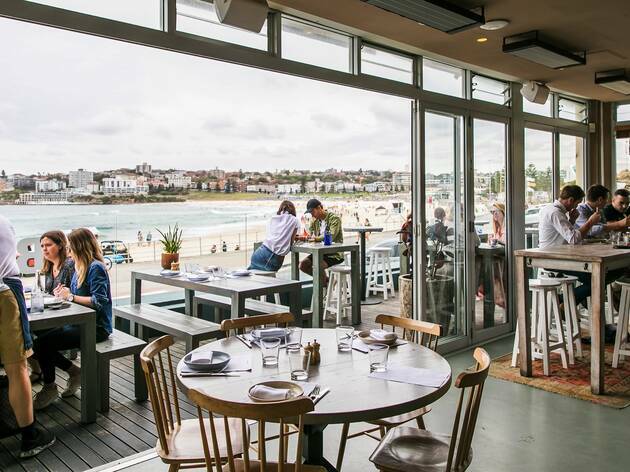 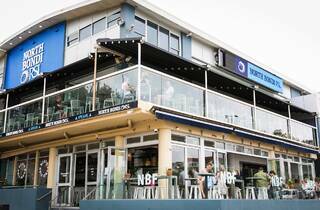 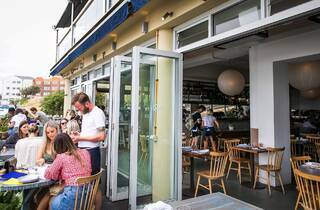 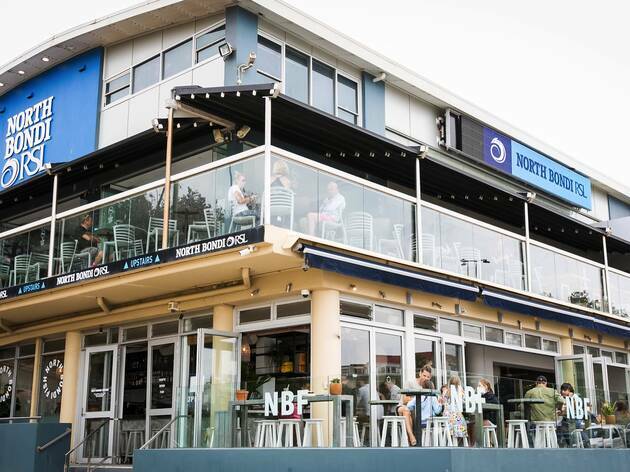 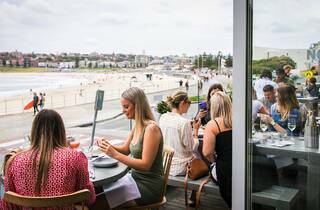 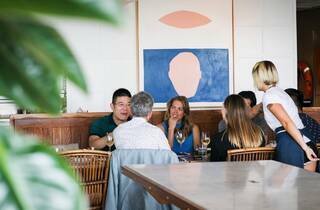 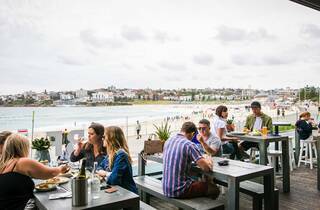 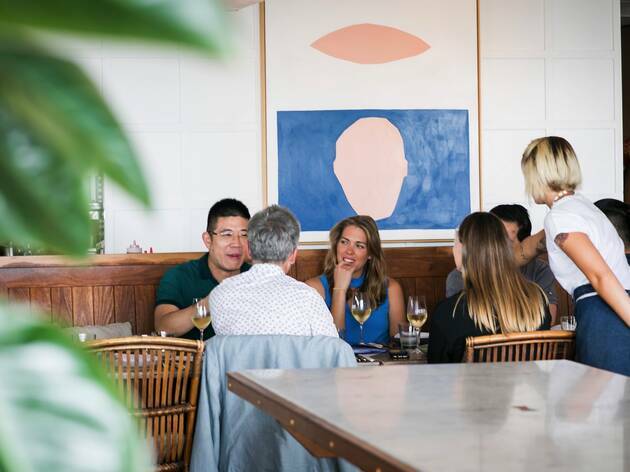 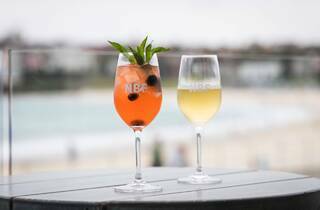 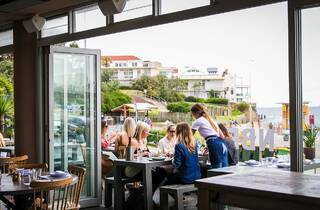 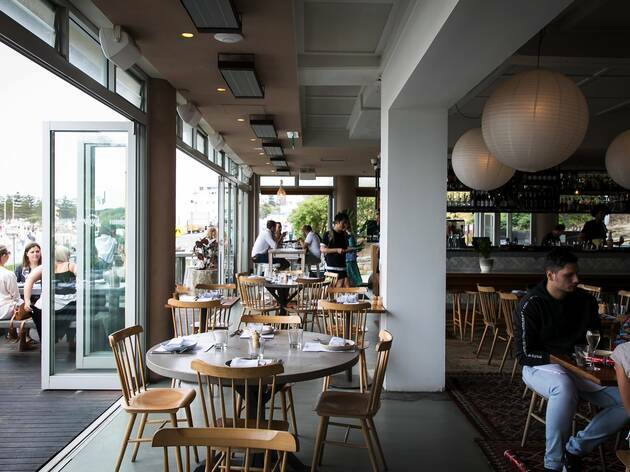 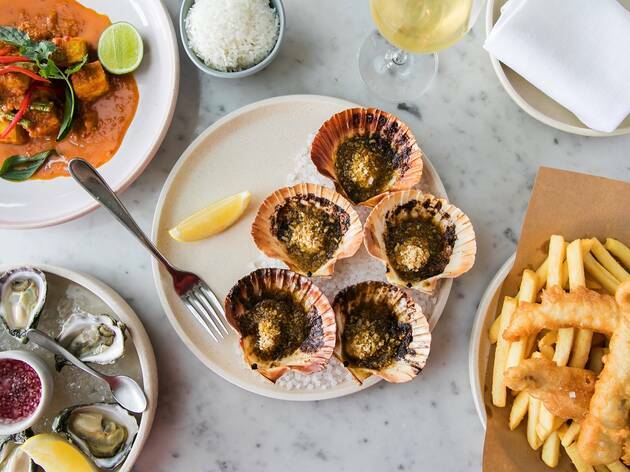 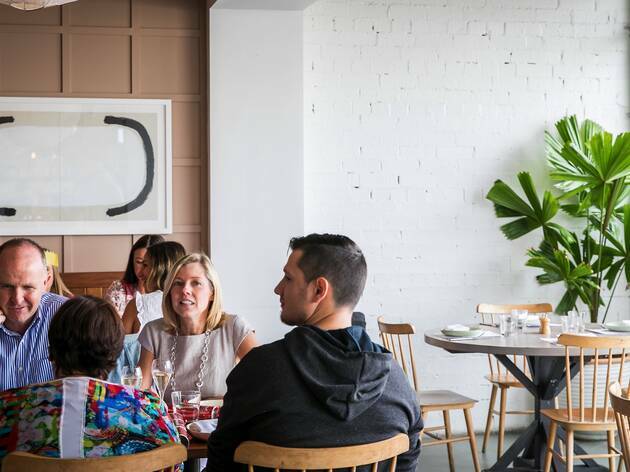 Given it’s prime NoBo position, this bright and breezy seafood palace has been the spot for many long lunches since it opened back in 2013 by Matt Moran. 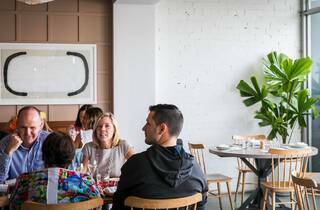 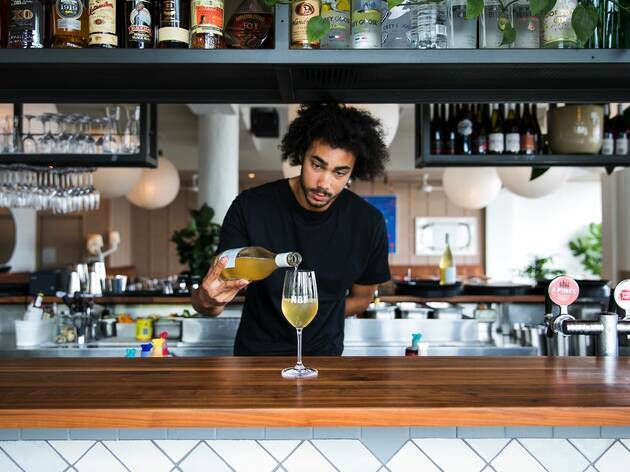 Now, you’ll find Jesse McTavish presiding over the kitchen, and he’s continued the surf spot-meets-holiday-haven vibes the venue has pumped out since day dot. 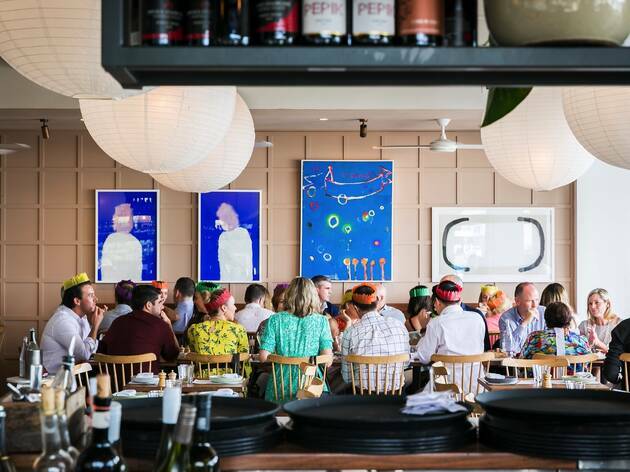 There have also been some fun frills added in recent times – on Sundays you may find a sashimi and disco party; or on it’s 5th birthday the first five folks to order a bottle of Verve got upgraded to a magnum. 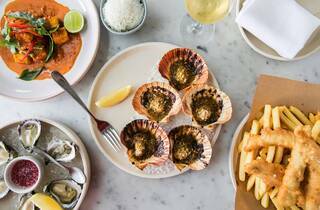 The menu reads like the Bubba Gump guide on how-to-cook-seafood: it comes barbecued, raw, ceviche, shucked, steamed, curried, baked, battered and fried. 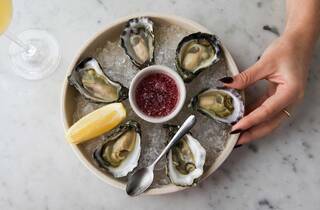 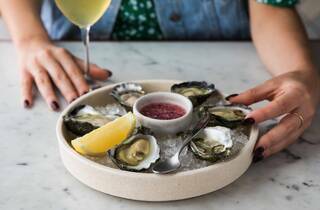 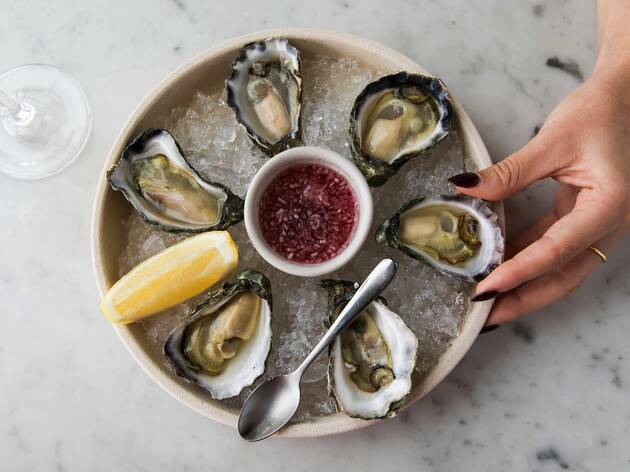 Oysters are the requisite first port of call on this journey into the fruits of the sea, arriving briny and fresh on a bed of rock salt. 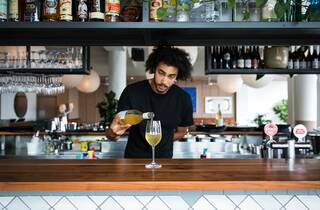 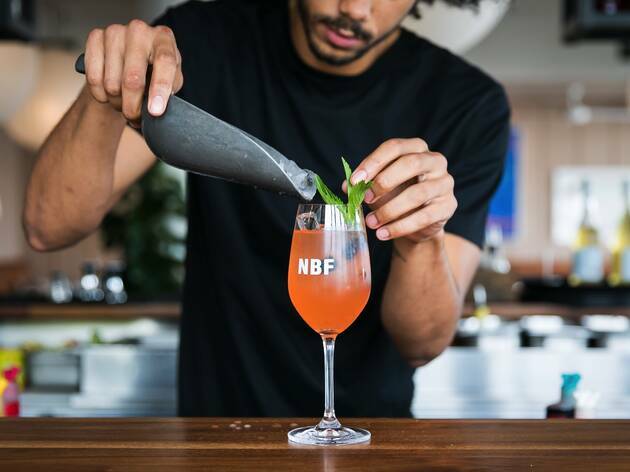 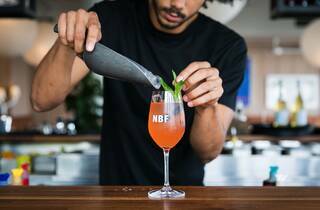 Now’s also a good time to order a light botanical spritz, topped with thyme leaves, or a glass of gently amber, tangy-yet-structured Clementine pinot gris. 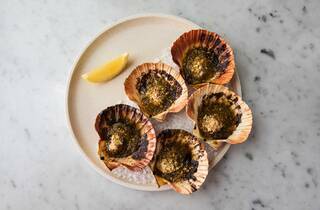 Scallops here are a party in their own right. 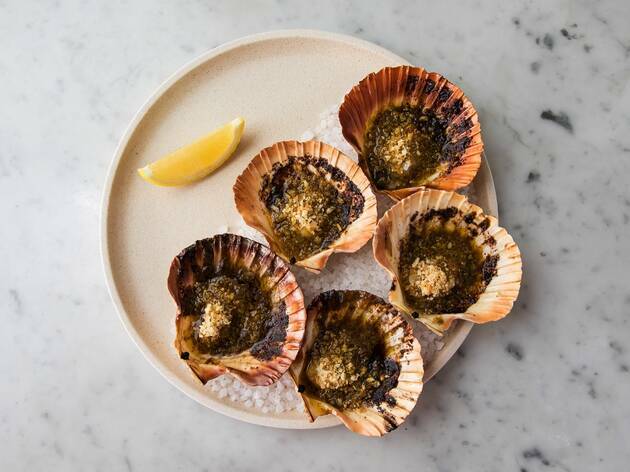 They come served on fanned shells, bathed in a kombu butter – eat it like an oyster to maximise the salty umami butter in each mouthful. 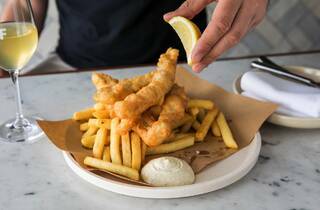 Tacos here aren’t such a fiesta – they miss punch, acidity and spice, with a creamy mayo and fried puck of fish that’s more batter than meat. 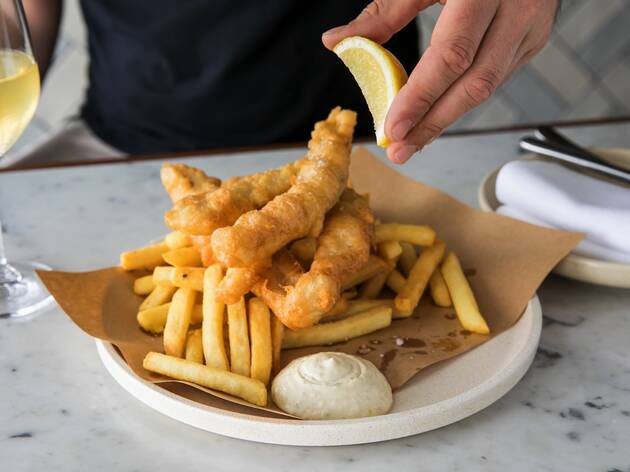 If you’re after something simple and battered, order the fish and chips. 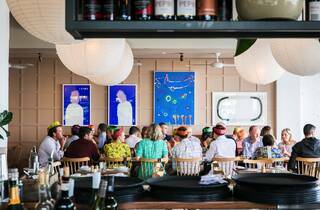 Better yet turn your attention to the specials, which celebrate market fresh fish. 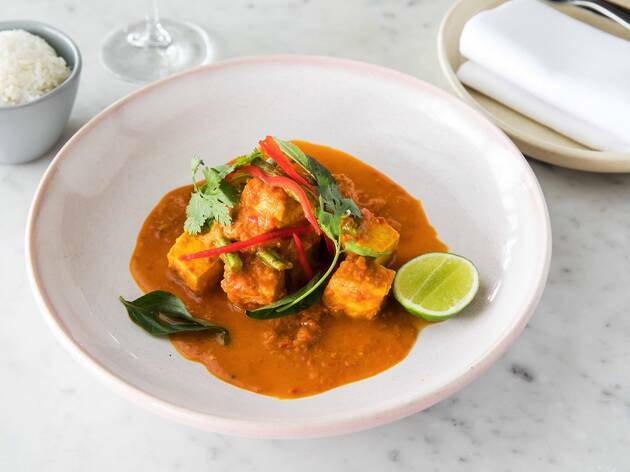 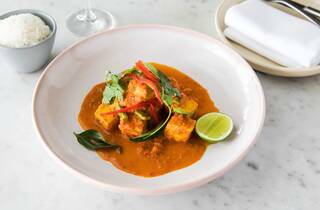 On our visit a rich salmon curry has a butter chicken like tomato-ness to it, which is freshened up with Thai basil and sprigs of coriander. 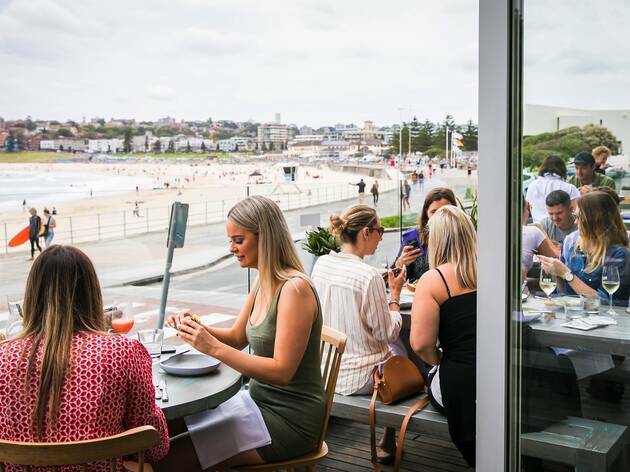 Like property with absolute waterfront views in Sydney, you’re paying a premium to eat here (a palm-sized prawn sandwich is $16... and mains are all around the $40 mark), but that’s okay if you know what you’re after. 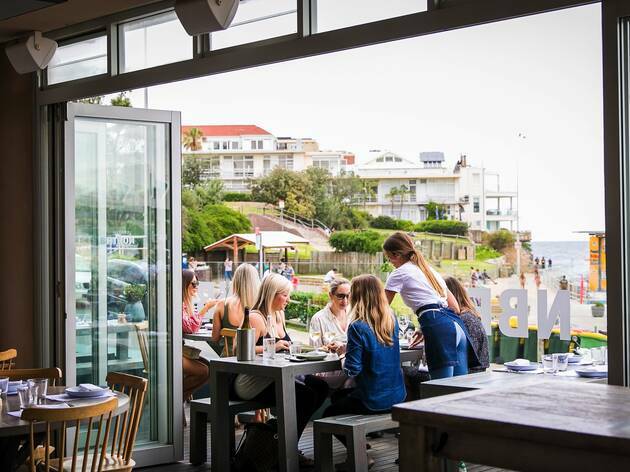 This is place where you can book for big groups with relative ease; you know you’re going to get great views and vibes; and if you’re a seafood-loving family, there will be a dish for all tastes. 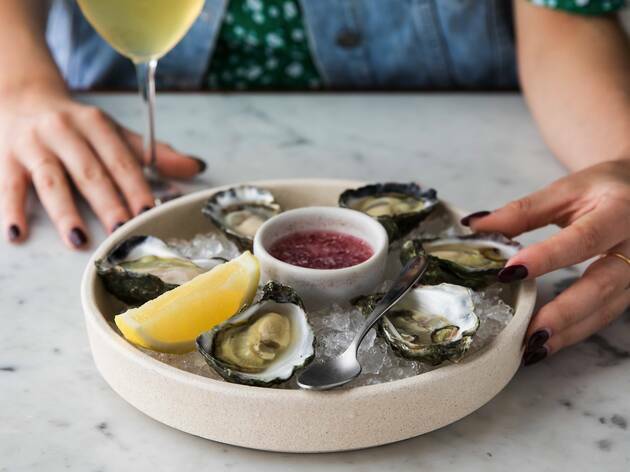 But for our money we head here for some fresh oysters and a spritz, because they're items that should be ticked off everyone’s summer bucket list.